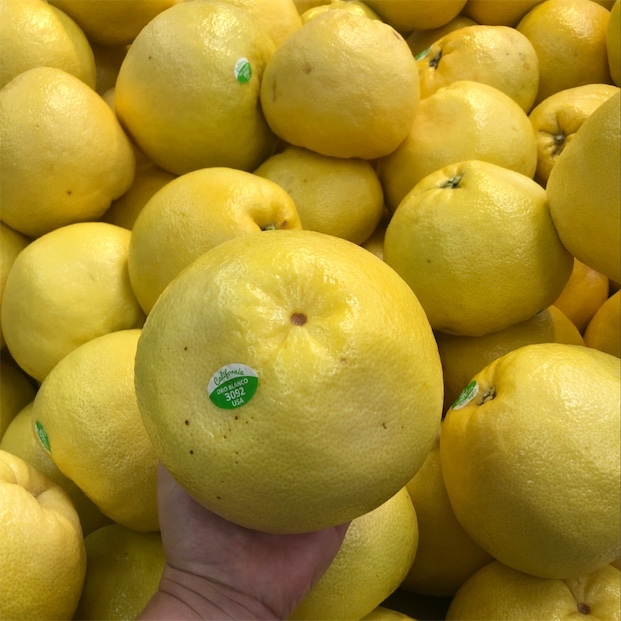 Oro Blanco grapefruit is characteristically thick-skinned and white-fleshed. A nearly seedless grapefruit hybrid with white flesh, it is produced from huge fragrant, blossoms and large, glossy-green foliage. 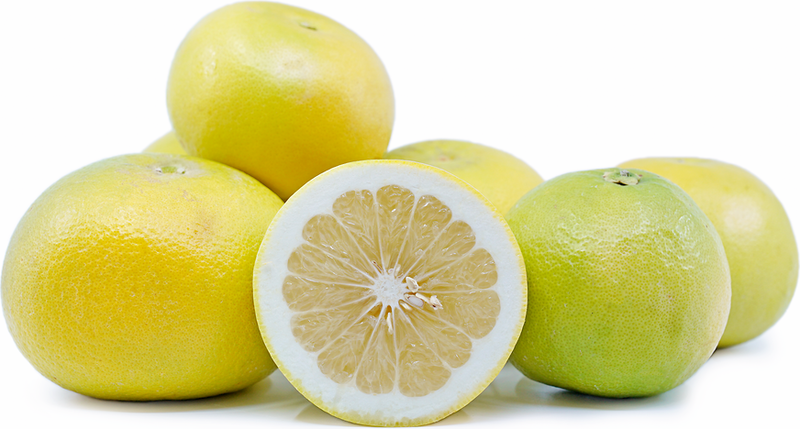 As with many white fruits, the Oro Blanco's flesh is sweet and lacks any of the typical bitterness of a grapefruit. Oro Blanco grapefruit is available year-round with some sporadic gapping.